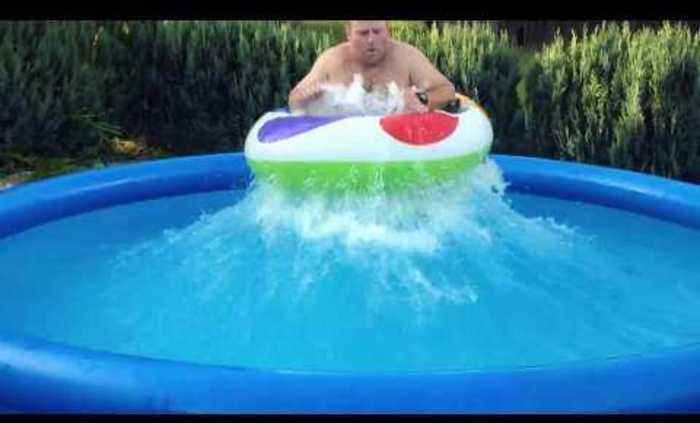 This guy was in an inflatable pool when he decided to make some waves. After getting into an inner tube, he repeatedly jumped up and down in order to push the water against the sides of the pool. Once the waves grew strong enough, the water lifted him into the air and out of his tube.